Nothing says professionalism like a black business card. 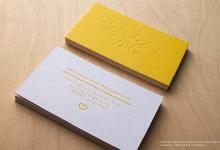 The sleek dark color stands apart from the standard white business cards that are usually used. The Albion Investment further stands apart by not only using a black stock, but by using a credit card sized matte ultra-thick black PVC plastic stock. This stock is 20pt thick meaning it is substation but maintains a sense of being light weight. 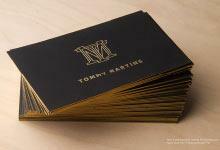 The design utilizes metallic gold ink to create a stark, gleaming contrast to the matte black that draws in the eye. 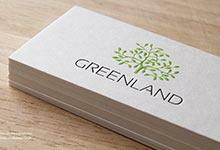 The back side of the card further enhances your companies branding by using a subtle, spot UV logo. Spot UV creates a clear glossy finish allowing it to be a subtle nod to the logo. This vertical template creates a modern appearance by using a plastic stock, but maintains an elegant aesthetic by implementing a gold and black color scheme. This template is ideal for customers in the investment, financial or law industry.